"Once again, Lent is not just a time for squaring conscious accounts: but for realizing what we had perhaps not seen before. The light of Lent is given us to help us with this realization. The light of Lent. I love that! It truly is a time when light shines. His light shines on us revealing ways that we can grow closer to Him so that we can grow closer to others in love - His love! Such a good Lord we have. So gentle. Not only does he invite us to come closer, but He gives us time. 40 days. Or, I guess He technically does give us everyday, but in a special way we are invited to be intentional during the season. Today, I was intentional about some of my time. I was intentional about capturing, loving, and being still. And, with His Grace, there will be more to come the rest of the day. As a side note, I am joining Abbey at Surviving our Blessings for her Holy Lens Lent-stagram project. Everyday they have a word posted for us to capture. The idea is to capture the sacred found in our everyday. I love that too! Capturing the sacred. 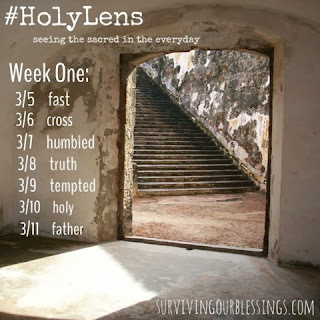 My hope is to share my Lent-stagram sacred finds on the blog as much as I find time to. I captured my small Lenten attempt at fasting for my Instagram post (as a nursing mama, my meal fasts won't be too demanding); but, in the end, I spent more time on the word itself. Fast. My boys are growing up so quickly! Time is not slowing down. Everyday there is something new. New skills. New words. New everything! And it is all happening fast. Fast! FAST! Haha. And, not only are they growing fast, but they are lightning speed fast! 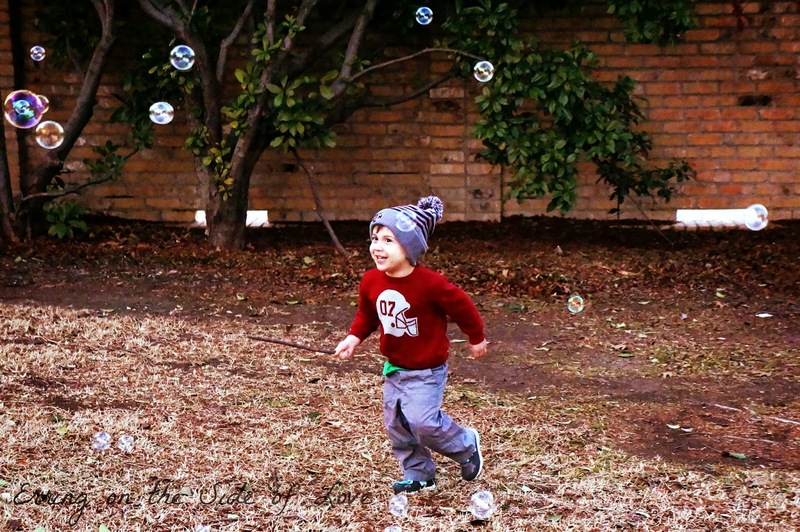 I don't know what age it was that I lost speed, but I have never been more aware of it since my little toddler man has taken to the joy of running. The boy runs all. the. time! He loves it. The laughter and smiles that come from him when he's running are incredibly beautiful. Meanwhile, little brother is too quick to follow in big brother's footsteps. He is a little speedy himself! He crawls and has taken steps. He will be walking any day now! The process that it took for him to get to where he is now shows such determination and patience. Perseverance and intention - from both of them! Fast is something that occurs daily. Pray that I be able to follow in their footsteps during my Lenten journey. That I will be fast to meet them. Lightning fast to my duties of love and home. Quick to laugh and smile just like they are, so that my little Lenten light will grow a bit more bright with each day that passes. The little light that will help me be more like Him whom my soul was made for. Prayers for a beautiful Ash Wednesday and start to your Lenten journey!